A graduate of Melrose High School, Lori is formally trained as a Certified Dental Assistant (CDA) with advanced education in front desk office management, Licensed Dental Assistant (LDA), member of the American Association of Dental Office Managers (AADOM) and has many years of in-depth dental private practice experience. Lori’s strong dedication, expertise, and excellent communication skills have kept our patients extremely satisfied with an in-depth understanding of all types of dental insurance coverages, customized financial plans, and ease in scheduling appointments for the entire family. Lori's patient service skills and friendliness are unsurpassed. She has kept our patient referral base rising and growing stronger with each year. 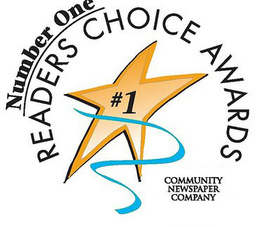 We invite New Patients to schedule an appointment and discover why our office has been Voted #1 Dental Office by Reader's Choice Awards in Melrose and the surrounding communities since 2001. Born, raised and a lifelong resident of Melrose, Lori has been married to her husband Bob for 26 years. They have two children and are avid sports fans and enjoy following their children's activities and events. Favorite family activities include spending time outdoors and quiet relaxing time by the ocean at their family summer home in Moody Beach, Maine. They also enjoy taking some time to four-wheel drive of the islands of Nantucket during the summer months. While they enjoy many water sports activities, they also enjoy attending the Boston Celtics and Boston Red Sox games along with following the Boston University Terrier Hockey teams. FUN FACT: LORI WAS A PROFESSIONAL WOMENS ICE HOCKEY PLAYER WITH THE BOSTON JETS. Theresa is an energetic and vivacious member of our dental team and has been Dr. Nelson Pan's Lead Dental Assistant since 1999. A graduate of Reading High School and Northeast Metropolitan Regional Vocational School in Wakefield, she studied to become a Certified Dental Assistant. With a vast and keen knowledge of all phases of family and cosmetic four-handed dentistry, her expanded skills and expertise in patient management are highly essential in maintaining the everyday proficiency of Dr. Pan’s patient schedule. Her bright personality and positive enthusiasm keep patients of all ages comfortable and relaxed throughout the entire dental appointment. Over the years, Theresa has developed strong bonds with patients’ families that span many generations and they look forward to seeing her familiar cheerful smile during dental visits. Away from the office, Theresa enjoys a busy and fun-filled home life with her husband, Steve, of 28 years. They have a daughter, two sons, and a Maltese dog. Her family enjoys spending time together in Maine while boating and fishing for fresh-water bass and trout. Theresa is a fabulous baker and makes the most amazing home-made whoopie pies! FUN FACT: IN HER HIGH SCHOOL DAYS, THERESA WAS A CHEERLEADER FOR BOTH AUSTIN PREPARATORY SCHOOL AND READING HIGH SCHOOL!! With over 30 years of dental assisting, orthodontic assisting, front desk administration and office management experience, Kathy has been a much-welcomed addition to our dental team for the past ten years. A graduate of St. Mary’s Annunciation of Cambridge and Bryman Institute where she studied to become a Certified Dental Assistant, she brings with her a wealth of knowledge in all aspects of dental assisting including orthodontics, family and cosmetic dentistry, and dental care management. Kathy enjoys the gratification of helping patients understand orthodontic procedures, state-of-the-art digital dentistry, and she performs the Zoom! Professional Teeth Whitening System in our office. A resident of Melrose since 1982, her kindness, warmth and valuable experience in patient management ensures ease and comfort during any dental procedure. After marrying her husband, John, who is a lifelong resident of Melrose, Kathy has made Melrose her home ever since! They have two sons, a Shetland Sheepdog/Beagle mix and a domestic cat. A family favorite and longtime tradition are hosting their popular Patriots game day get-togethers with Kathy cooking and baking her specialty recipes. She also enjoys quilting classes and relaxes while knitting, reading, and gardening. Dotty is a graduate of Melrose High School, Boston's Forsyth School for Dental Hygienists and Northeastern University. She is a meticulous, energetic, caring and outstanding member of our dental team since 2007. After graduating from Forsyth, she received advanced education in periodontal - oral physiotherapy training with the internationally renowned Dr. Gerald Kramer, Chairman of the Department of Periodontology, Boston University School of Dental Medicine. As an integral member of the BUSDM periodontal clinical team and continuing education division, Dotty is credited for her contributions in the Department of Periodontology with Dr. Kramer, and also, Dr. Hyman Smukler, Chairman of the Department of Oral Diagnosis, and as a member of the team in the Institute for the Correction of Facial Deformities (ICFD) in the Department of Oral Maxillofacial Surgery along with Boston University-affiliated private practices. Dotty brings with her the highest standard of excellence to our patients' comprehensive periodontal care and preventative general treatment. Dotty is very proud of her five children, as is their father Dr. Michael W. Courtney. Sr., a periodontist. Their oldest three children are dentists and Honor graduates of Boston University School of Dental Medicine. Dr. Elizabeth Courtney Jones and her husband, Dr. Derek Jones, are family & cosmetic dentists and owners of Sanford Family Dental in Sanford, Maine. Dr. Sarah Courtney followed in her father's footsteps and specializes in Periodontology and Dental Implants. Dotty's oldest son, Dr. Michael W. Courtney, Jr., is attending a combined Medical Doctor (MD) and Oral Surgery program specializing in Orthognathic Oral-Maxillofacial Surgery (OMFS). Their youngest two children are Kathryn Courtney Roy who works in business finance overseeing highly successful Nationally-ranked Hedge Funds. Richard Thomas Courtney enjoys his fulfilling career as a Departmental Research Coordinator at Boston's Dana-Farber Cancer Institute to make his heartfelt team contribution at DFCI: Discover. Care. Believe. Dotty enjoys leading an active healthy life in exercise step classes and cardio-kick-boxing as well as hiking the mountain trails (during all seasons including snowy winters!!!) in New Hampshire. Samantha and her family have been longtime loyal patients at Pan Dental Care. So, we were excited when Samantha joined our team as a registered dental hygienist in June 2015. Immediately, we discovered that Samantha's philosophies in oral physiotherapy care, preventative dental treatment, and patient education are of the highest level of standard that Pan Dental Care values so greatly. Patients constantly compliment her strong, focused, professional work ethic and diligence in motivating optimal oral health for a lifetime. Samantha was born in Korea and adopted at age 4. She grew up in Natick, and after graduating from Natick High School she attended Simmons College in Boston where she earned her Bachelor of Arts degree with a double major in English and Philosophy. Later, she received her Bachelor of Science degree at the prestigious Forsyth School of Dental Hygiene at the Massachusetts College of Pharmacy and Health Sciences. Happily married since 1999, it was wonderful fate and destiny that Samantha met her future husband, Michael, on a blind date set up by her best friend and dormitory mate at Simmons College. In 2006, Samantha and Michael moved to Melrose and have four beautiful children. Fun excitement includes being a busy 'hockey family' and having a love of creating artwork. This past season was super exciting with their son, Cormac, playing on a team that won a Melrose Ice Hockey League Championship! With a keen interest in fine arts, daughter Carson has had her talented artwork displayed in multiple Melrose art exhibits including Memorial Hall, Melrose Public Library and schools throughout this area. The two youngest children have fun cheering at ice hockey games and are developing their artistic skills in drawing and painting. Samantha, Michael and their four children love traveling on vacation to Bermuda, Disney World, and Cape Cod. Alicia grew up in Portland, Maine, and she is a Dean's List 2012 graduate from Massachusetts College of Pharmacy and Health Sciences where she received a Bachelor of Science degree in Dental Hygiene. A stellar Registered Dental Hygienist, Alicia possesses excellent clinical skills in periodontal soft tissue management as well as dental health education keeping patients informed of their oral hygiene care instructions. She keeps up-to-date with advanced hands-on continuing education courses on the latest innovative technologies in oral physiotherapy. A valued team member of Pan Dental Care since August 2017, her areas of expertise are providing excellence in quality of care to patients with true dental fear and anxiety. Patients of all ages absolutely adore Alicia's warm, soothing, peaceful and benevolent nature. From toddlers and school-aged children all-the-way to geriatric care, patients instantly sense her kindness, calmness, gentle manner and cheerful disposition in providing a wonderful dental experience that keeps families and individuals returning regularly for their preventative, periodontal and comprehensive dental treatment. She not only enhances our entire dental team, Alicia is impressing our loyal, long time patients - who have a high level of expectation of care - by receiving their satisfied stamp of approval! While outside of private practice, one of Alicia's true passions is volunteering in global health missions as a dental clinician helping geographic populations in medically underserved countries. Over the past several years from 2012 to the present, she has participated in organizing, fundraising and serving in mission trips with the Doctor of Dental Medicine (DMD) student teams from University of Connecticut Health Center. She has extensively volunteered her clinical expertise in several annual missions to Honduras, the Galapagos Islands and Puerto Rico. She enjoys the reward and team gratification of knowing that the international global health missions make a substantial contribution and impact on adults and children around the world who do not have access to health care. In her spare time, Alicia enjoys traveling with family and friends. She enjoys a daily exercise routine, especially running outdoors. A favorite activity is going on walking and hiking adventures with her dog, Lupe. We are extremely pleased to introduce Amanda who joined our dental practice in September 2017. She began her career in the dental field at 15 years old! With experience both clinically and clerically, Amanda has practiced as a Licensed Dental Assistant in a multitude of specialties including general & family dentistry, endodontics, and periodontics, until she furthered her education as a Registered Dental Hygienist in 2015. Patients enjoy her bright smile and enthusiasm treating every patient with compassion and gentle care. Amanda's philosophies in oral physiotherapy care, preventative dental treatment, and patient education are of the highest level of standard that Pan Dental Care values so greatly. With meticulous hand instrumentation skills, gentle technique and excellent patient rapport, Amanda have developed a strong following of patients who trust her clinical preventative care. A native of Saugus, Amanda graduated in 2010 with Honors from the Northeast Metropolitan Regional Technical Vocational High School in Wakefield where she was a High Honors student in the Dental Assisting Program, inducted member of the National Honor Society and National Technical Honor Society. During freshman year in college, she attended the Southern New Hampshire University and was named to the Presidents List. Amanda then attended Middlesex Community College's Health, Science and Technology Center and graduated in 2015 with Honors in the Associate of Science degree program in Dental Hygiene where she was the recipient of the prestigious Dr. Stephen Stone Educational Scholarship Award. A member of the American Dental Hygiene Association (ADHA), Amanda is both a Licensed Dental Assistant and Registered Dental Hygienist. Living in Stoneham since 2015, Amanda treasures every moment making wedding plans with her fiancé Zak! She loves spending quality time with family and friends. Community involvement includes a heartfelt tribute of volunteering, fundraising, and bike riding 28 miles for Reid's Ride: Charity for a dear family friend who lost his battle to cancer at age 20. All are welcome to join in this meaningful annual fundraiser. In addition, Amanda enjoys maintaining a healthy lifestyle through exercising, boxing, spin classes, and outdoor activities especially at the beach in the warm New England weather. Hobbies include baking and shopping! Alison joined our dental team in 1996 with keen expertise in periodontal tartar detection, periodontics therapeutic maintenance and treatment planning of long-term preventative dental care. A lifelong resident of Melrose, she is a graduate of Melrose High School, Forsyth School for Dental Hygienists in Boston and Northeastern University earning a Bachelor in Health Science degree. After graduating from Forsyth Dental Institute, Alison received advanced training in oral periodontal hygiene therapy and research methodology with Harvard University School of Dental Medicine's Dr. Sigmund Socransky, a research pioneer and Head of the Periodontal Research Department at Forsyth Dental Institute. She has many years of experience at Harvard's Faculty Periodontology practice as well as being an integral member of periodontal clinical research with world-renowned periodontists. Having internationally published dental research combining periodontology, immunology, and microbiology, we now understand how the mouth, teeth, and gums are connected to overall general health. Alison is a knowledgeable expert at the forefront of oral physiotherapy techniques, periodontal dental hygiene, comprehensive and preventative treatment. Alison is now the proud grandmother of five baby toddlers. Life does not get any better than hearing the sound of little steps of tiny feet running throughout the house and brushing baby's’ first teeth!!! A lifelong resident of Melrose, Alison cherishes every fun moment with the grandbabies at playgrounds along with four generations of Wetherbee and Marcotti families. Favorite family vacations include trips to Bermuda and skiing in New Hampshire. Annette has been a steadfast, devoted and loyal member of our dental team since 1996. 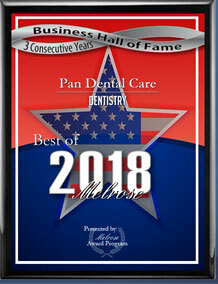 As our second most long-standing registered dental hygienist, over the years she has earned a strong reputation of providing consistently punctual, reliable, and efficient care while running on-time during scheduled dental hygiene and periodontal maintenance appointments. A graduate of Melrose High School and Middlesex Community College’s Dental Hygiene Program, Annette has an in-depth multitude of private practice experience in patient management, preventative treatment and comprehensive care of toddlers, young children, teenagers, adults, and geriatric patients. Her highly regarded reputation has resulted in a large patient following who appreciate her conciseness, preciseness, succinct mannerisms in completing procedures as quickly and comfortably as possible. Annette enjoys traveling to Aruba, Bermuda, and areas of a warmer climate with her husband of 28 years and their daughter and son. One of her special enjoyments is watching her children play basketball and attending tournaments with family. She delights in spending loving quality time with her mother and sister who are all gourmet cooks with special recipes passed down from many generations. A dedicated and remarkably outstanding member of our dental hygiene staff since 2001, Paula is a gentle, kind-hearted practitioner who takes phenomenal pride in offering the highest quality of dental care to her patients, especially to the youngest of patients who find immediate comfort with her during what is their first dental experience for many. Paula’s true devotion to our patients' comprehensive care and preventive treatment are truly appreciated. Patients are highly satisfied with her warm, friendly and calm patient interaction, relaxed approach and clinically exceptional dental hygiene skills. A lifelong resident of Melrose, she graduated from Melrose High School, Forsyth School for Dental Hygienists and Northeastern University. Paula is sister to Lori Smith, our Office Manager and we consider ourselves extremely fortunate to have the superb-outstanding duo on our team! Born, raised and a lifelong resident of Melrose, Paula continues to be an active member of the Melrose community. Married to her husband for the past 23 years, they have two daughters and thoroughly enjoy watching them at dance recitals and basketball games. Together, they are passionate volunteers helping in charitable activities and organizations. A family favorite is spending time swimming and making sand castles on the beaches of Maine. Paula’s hobbies include knitting intricate patterns as well as enjoying water sports, paddle boarding and kayaking. We are extremely proud to announce that Kate, who joined our dental practice in October 2013, is now attending Tufts University School of Dental Medicine in the Doctor of Dental Medicine (DMD) Program since July 2015 and will graduate in May 2019. We are delighted that Kate continues working as a dental hygienist on a part-time basis at Pan Dental Care. She is an outstanding clinician with superb hand skills and excellent patient rapport. After graduating Methuen High School, she attended Framingham State College during freshman year and the University of Massachusetts Amherst during sophomore year. While observing her friend in dental hygiene, Kate knew instantly that she wanted to pursue this career path. The following year, she enrolled at Middlesex Community College's Dental Hygiene Program and graduated in 2011 with high honors and was on the Dean’s List every semester. While enjoying the gratification of her clinical career, she graduated with honors with a Bachelor of Science degree in 2015 at the University of Massachusetts in Boston. Congratulations, Kate!